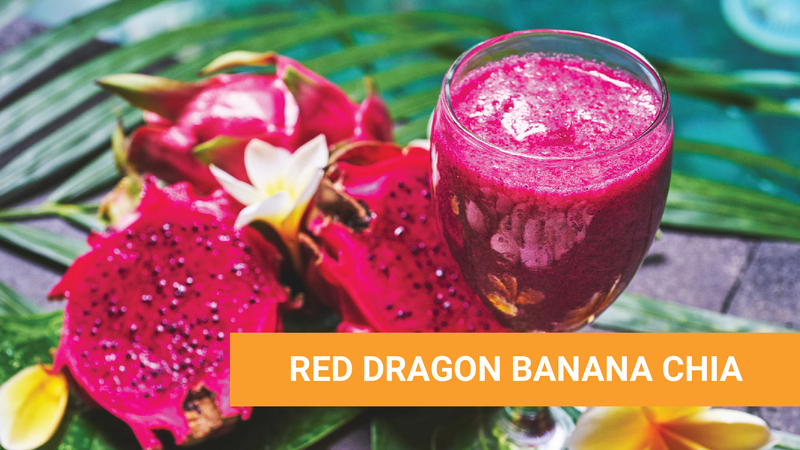 Dragon Fruits are considered the #1 HEALTHIEST FRUIT! Banana is full of fiber and potassium AND gives you INSTANT ENERGY! The micro sliced chia is one of the healthiest foods on Earth… This brekkie treat will keep you full and give you lots of energy for HOURS!